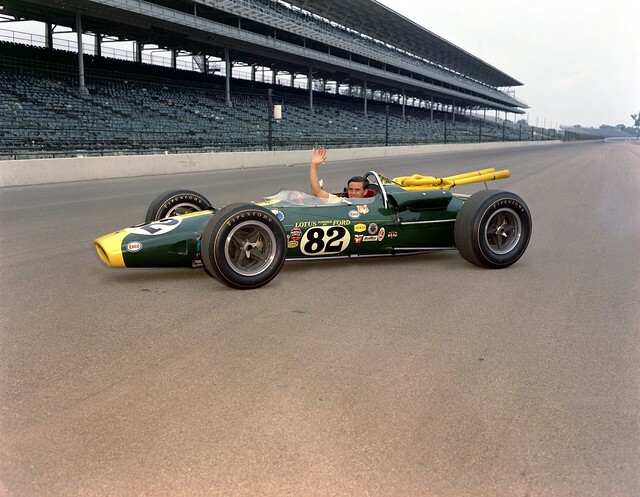 Axis Of Oversteer: Jim Clark's Lotus 38 driven again at Indy! Jim Clark's Lotus 38 driven again at Indy! Dario Franchitti had the chance to drive the fantastic asymmetrical 1965 Lotus 38/1 belonging to the Henry Ford Museum Racing in America collection. Racing in America will be an first of its kind interactive educational exhibit within the Henry Ford Museum dedicated to preserving the history of American auto racing. Axis is proud to have been chosen as one of the features contributors to the Racing in America web site! great video! Too bad Dario couldn't really get on it around Indy.